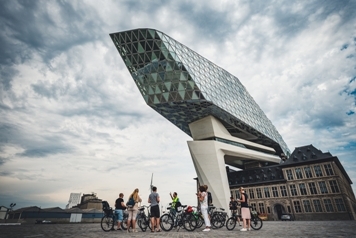 Antwerp's main transport aims are to integrate its port into the city's transport network, improve infrastructure, reduce motorised road transport, and keep the Antwerp region accessible and liveable. Antwerp is also a partner in CIVITAS PORTIS. The study visit in the port city will focus on behavioural change, cycling and walking, mobility management, as well as governance approaches and innovation processes. Different partners and stakeholders will be involved: including the City of Antwerp, the Port of Antwerp, other PORTIS project partners and cities, and other stakeholders and experts. CIVITAS PORTIS is also offering travel support funding to a limited number of city authorities, public transport authorities and port authorities. Please find the registration/form here and the agenda here, as well as below. The deadline to register and apply for financial support is 17 April 2019.